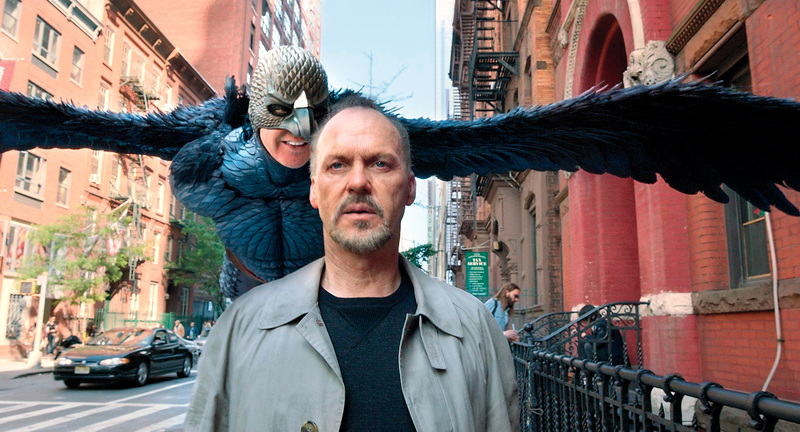 Birdman has once again won a very significant industry award on the way to the Oscars with its Outstanding Performance by a Cast in a Motion Picture at the Screen Actors Guild awards just a day after its Producers Guild win. It’s positioning itself, seemingly out of nowhere, as the frontrunner in the Oscar race. Eddie Redmayne (The Theory of Everything) upset Birdman‘s Michael Keaton for Male Actor in a Leading Role, following up his Drama Globe win earlier this month. That puts him in frontrunner status ahead of Keaton, who needed this win to secure his position. With just BAFTA coming up and Redmayne a pretty good bet there, his combination of GG/SAG/BAFTA should be pretty unbeatable. In the Supporting categories things went as planned with J.K. Simmons (Whiplash) and Patricia Arquette (Boyhood) adding a SAG to their Golden Globe and BFCA wins. Over in television, Downton Abbey and Orange is the New Black won the Ensemble awards in Drama and Comedy, respectively. Viola Davis won her third SAG award, this time for television, for How to Get Away with Murder and thanked ABC for hiring a 49-year old African-American woman. Uzo Aduba (Orange is the New Black) triumphed over very formidable competition (and true leads).